I love the adorable little penguins on this Sweater Vest, especially the one on the back of the vest. 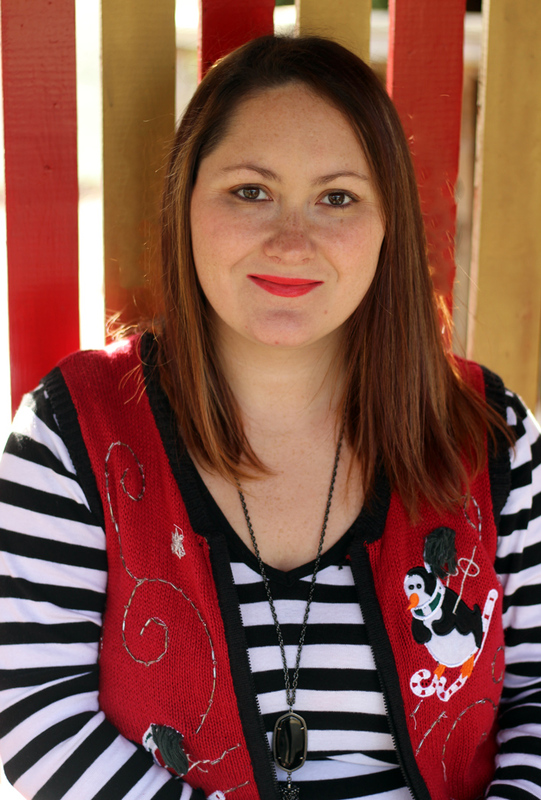 I chose to pair the vest with a black and white stripe tee. The tee makes the penguins pop out even more. 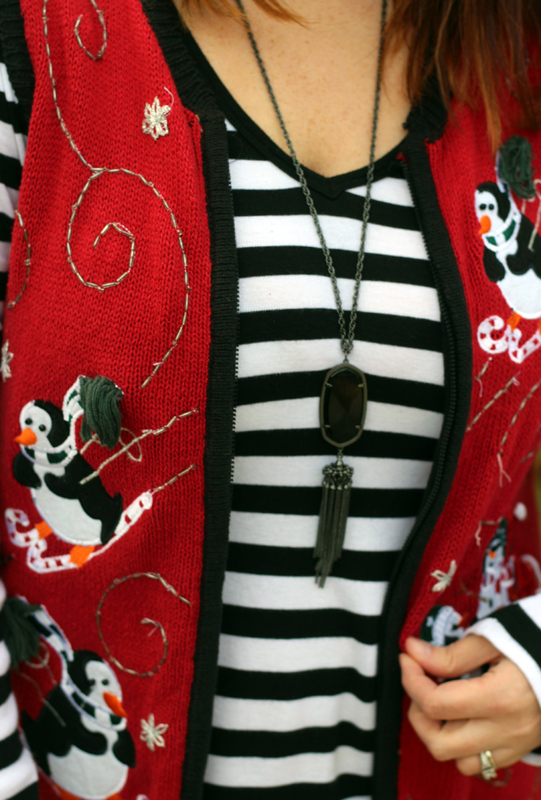 I also dressed up the vest and tee with a black Kendra Scott Rayne tassel necklace. It really plays well against the black and white from the sweater and the tee. 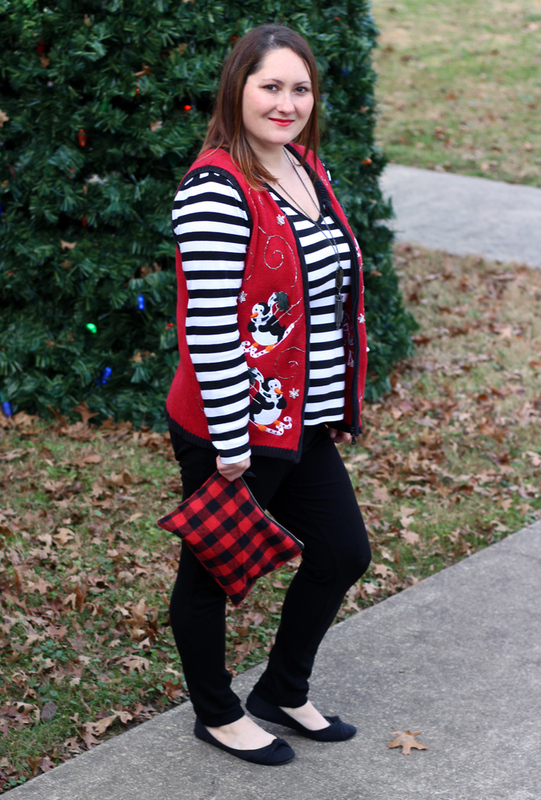 Since the vest is mostly red, white and black, I kept it simple with black fleece leggings and black flats. 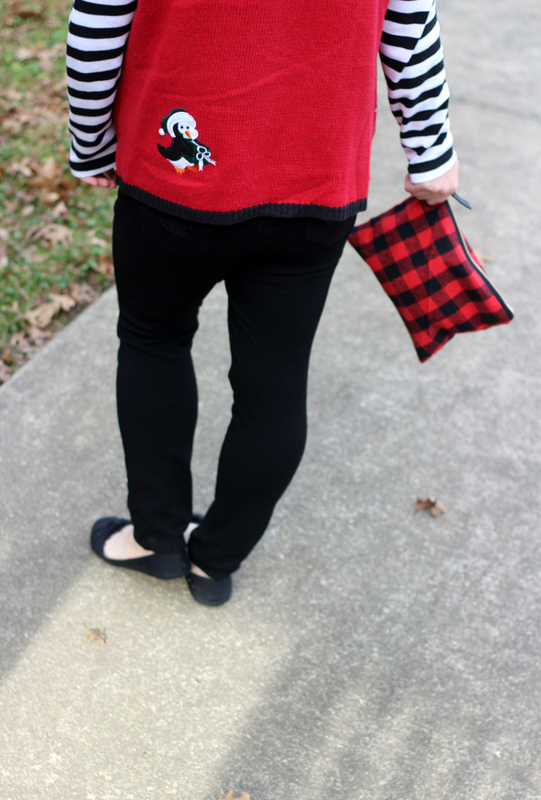 I think this buffalo plaid clutch is the perfect final touch to the whole outfit. It pulls it all together. Buffalo plaid is my absolute favorite for Christmas. I love seeing Christmas Sweaters and Vests. 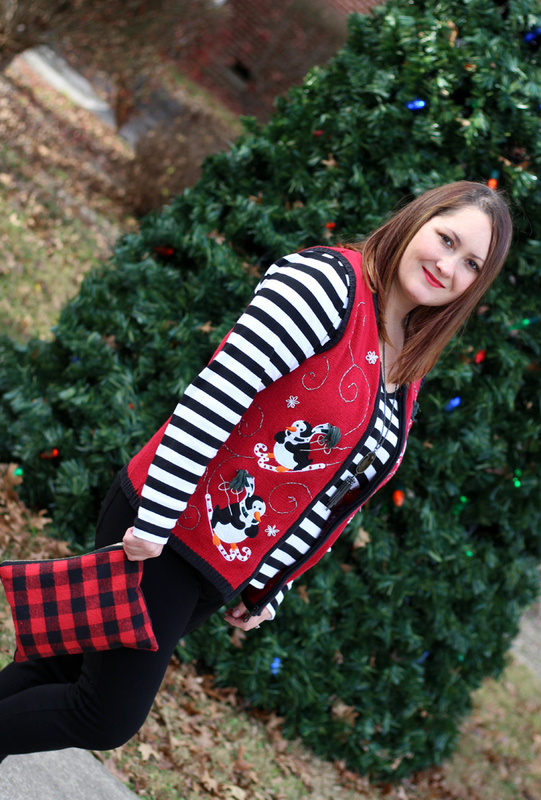 What is your best Christmas Sweater or Vest?